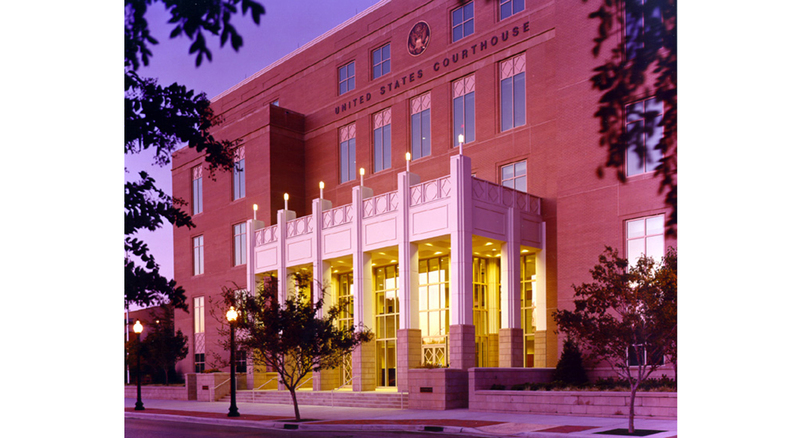 The United States Courthouse for Pensacola presents a federal image harmonious in scale and detail with the historic Palafox district area of downtown Pensacola. 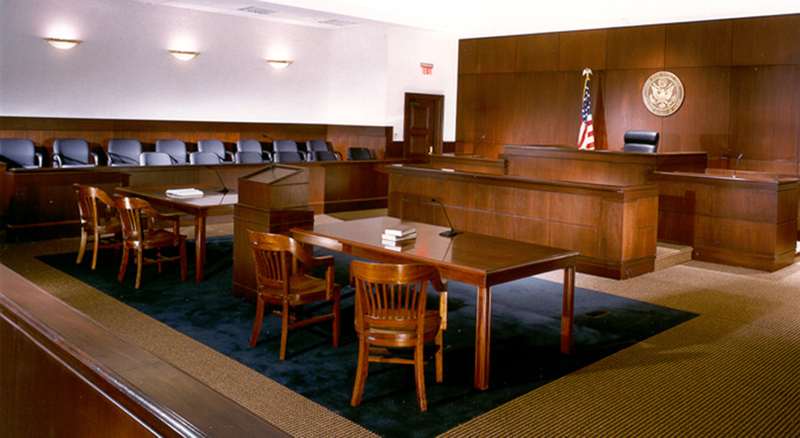 Masonry, stone and glass make up this five story structure, which houses five courtrooms with highly sensitive acoustical requirements set forth by the US Courts. The project attains the elevated stature of an important civic building by employing a simple and classic architectural language with its examples of historic architectural features such as recessed window openings, cornice lines, an entry portico, and a rusticated base. Crisp lines are used to detail these features in order to keep the building suitable to our contemporary building technologies. The building is sheathed in durable architectural precast concrete with an elegant granite finish at the base and brick above , consistent with the character of many of the historic structures in downtown Pensacola. The base of the building sits on a three-foot high plinth that extends to the public sidewalk, a contextual response to the base of the neighboring church. Above the plinth a ‘rusticated’ building base is articulated with continuous two inch reveals and a granite finish precast panel similar to a flamed finish natural granite.